HILO — The Department of Land and Natural Resources (DLNR) Friday (Feb 1) announced the availability of muzzleloader animal control permits for feral goats and feral sheep at Kaohe Game Management Area, pursuant to Title 13, Chapter 123 (13-123-9). 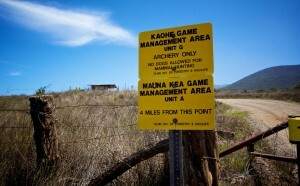 Kaohe Game Management Area (GMA) is an archery unit for game mammals with no bag limit for sheep and goats. To increase public harvest efficiency of feral goats and sheep, DLNR’s Division of Forestry and Wildlife (DOFAW) is allowing the use of muzzleloaders for licensed hunters by permit. 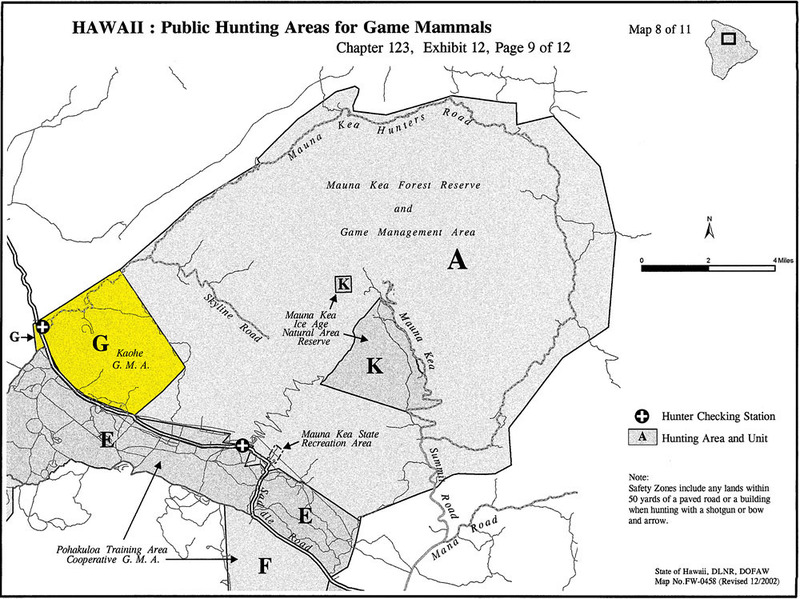 From Feb. 9 through April 14, 2013, permits will be available at the Kilohana check station for muzzleloader for feral goats and sheep with no bag limit, but every effort must be made to retrieve and harvest animals within designated areas. Hunters must use every safety precaution in using muzzleloaders. Blaze orange is required for all hunters in Kaohe GMA, including archery hunters. DLNR is increasing hunter participation in Kaohe GMA to protect Palila Critical Habitat from overgrazing of mamane trees from feral goats and sheep. Further information may be obtained by contacting the DOFAW offices in Hilo at (808) 974-4221 or in Kamuela at (808) 887-6063.